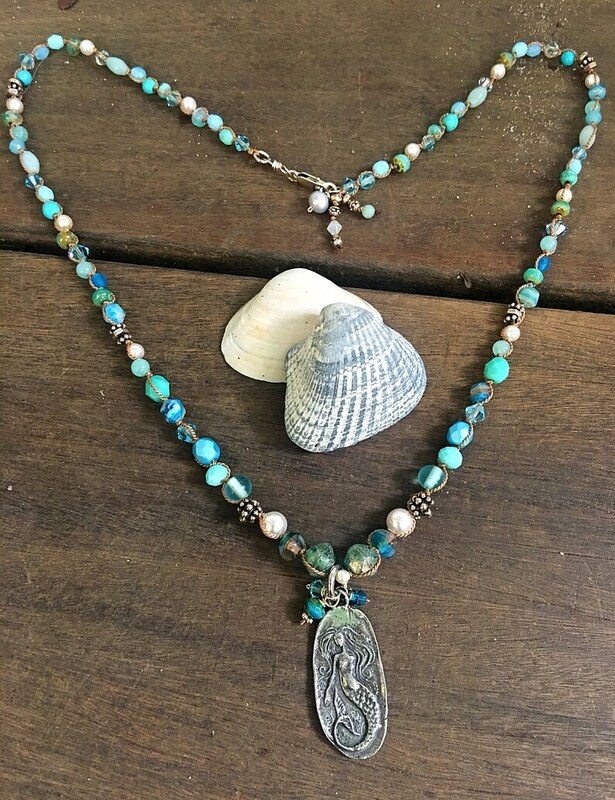 "Goddess of the Deep Blue" Hand Knotted Necklace features a unique silver mermaid pendant. This beautiful pendant is suspended from a strand of semi-precious stones, Czech glass and Swarovski crystals and pearls hand-knotted on silk cord. Findings and wire are sterling silver. 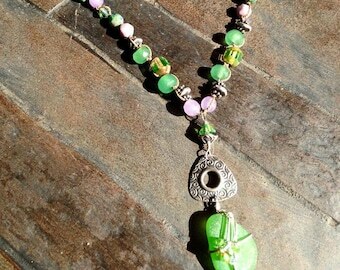 This necklace is 18"/$89.. Longer necklaces are available for an additional fee. Please let me know if you have a special request. I am happy to accommodate! Each piece of my jewelry is made to order. This way you can choose the length or color you like best. Like shells on the beach, no two pieces of my jewelry are exactly alike.. Please remember that since all of my work is handmade to order, therefore, it takes a bit of time to make your pieces. My processing time is usually 1-2 weeks. That said, I understand sometimes there are "jewelry emergencies". Let me know if you are in a rush and I will do my best to accommodate you. Jennifer, you are so personable, generous and wonderful to know. I’m happy we met.....This necklace is amazing and special, along w/ the earrings....I’ll be back for more.